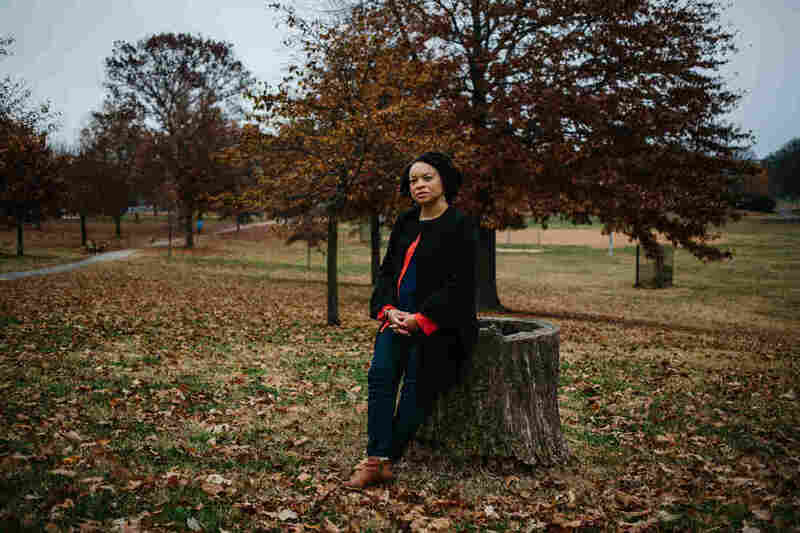 U.S. Black Mothers Die In Childbirth At Three Times The Rate Of White Mothers Black women are three times more likely to die from complications of childbirth than white women in the U.S. Racism, and the stress it causes, can play a leading role in that disparity. Soleil, nearly a year old, at home. Raegan McDonald-Mosley was one of Shalon's closest friends. The two used to jog together in Patterson Park, in Baltimore. 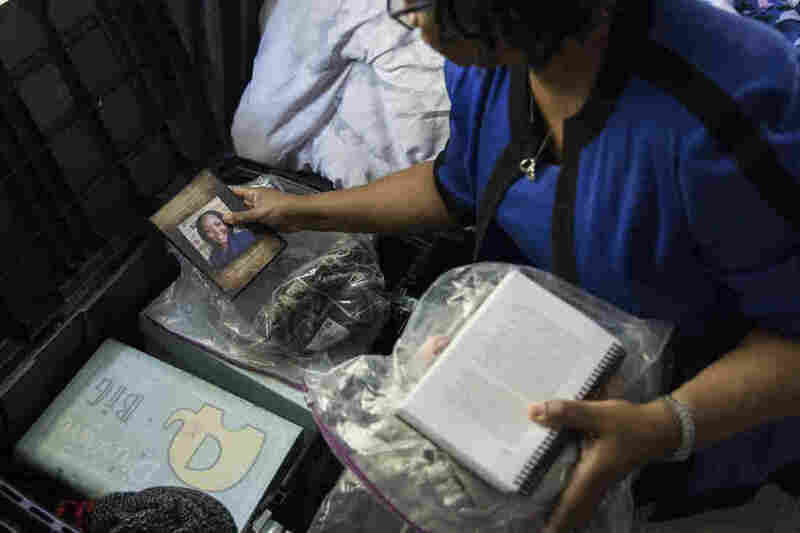 Wanda Irving holds a photograph from the funeral of her late daughter Shalon Irving as she goes through a trunk full of her mementos and possessions. She plans to keep the trunk for when her granddaughter Soleil gets older. Shalon posed in the nursery while pregnant with Soleil. As women get older, birth outcomes get worse. ... If that happens in the 40s for white women, it actually starts to happen for African-American women in their 30s. Arline Geronimus, a professor at the University of Michigan School of Public Health, coined the term "weathering" for stress-induced wear and tear on the body. Weathering "causes a lot of different health vulnerabilities and increases susceptibility to infection," she said, "but also early onset of chronic diseases, in particular, hypertension and diabetes" — conditions that disproportionately affect blacks at much younger ages than whites. Her research even suggests it accelerates aging at the molecular level; in a 2010 study Geronimus and colleagues conducted, the telomeres (chromosomal markers of aging) of black women in their 40s and 50s appeared 7 1/2 years older on average than those of whites. Weathering has profound implications for pregnancy, the most physiologically complex and emotionally vulnerable time in a woman's life. Stress has been linked to one of the most common and consequential pregnancy complications, preterm birth. 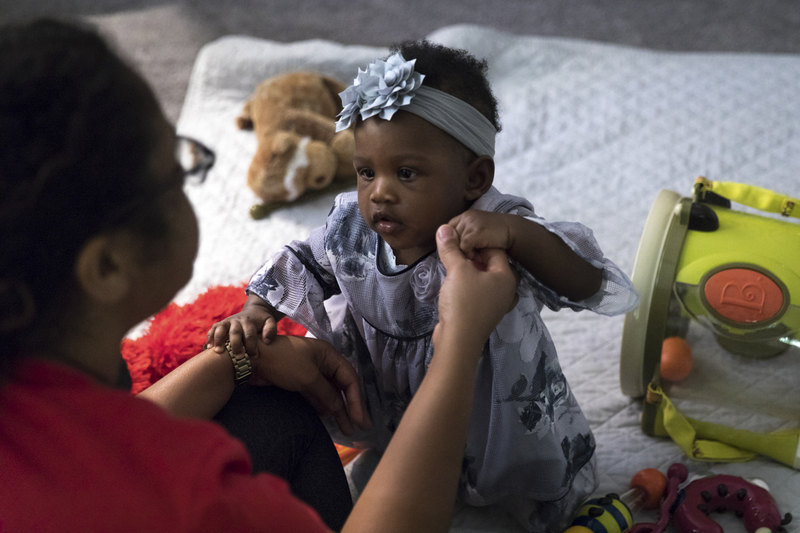 Black women are 49 percent more likely than whites to deliver prematurely (and, closely related, black infants are twice as likely as white babies to die before their first birthday). Here again, income and education aren't protective. A framed photograph of Shalon in uniform hangs on the wall in her home. 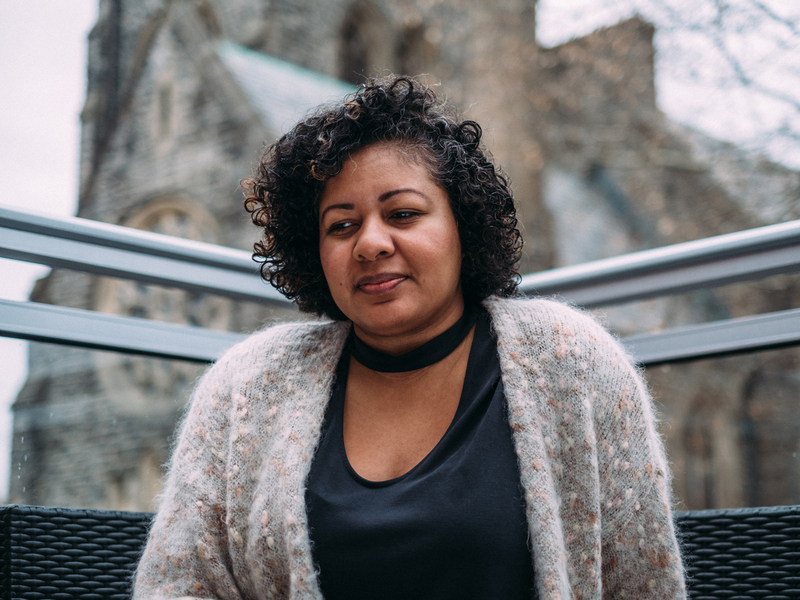 She worked at the Centers for Disease Control and Prevention in Atlanta, studying how social determinants like food deserts can affect one's health. Bianca Pryor, a Bronx-based consumer behavior researcher, became lifelong friends with Shalon. They were pregnant at the same time. "No words have been created to adequately capture the fear and love and excitement that I feel right now," Shalon, shown here with her puppy, Lady Day, wrote to her daughter. Bianca and her 1-year-old son, Everton, in her Bronx, N.Y., apartment. 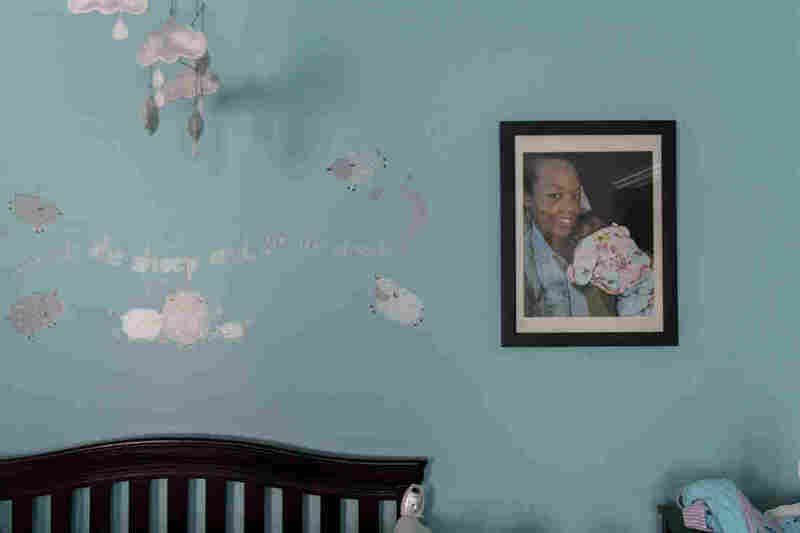 Bianca had her own pregnancy emergency; Everton was born at just 24 weeks. 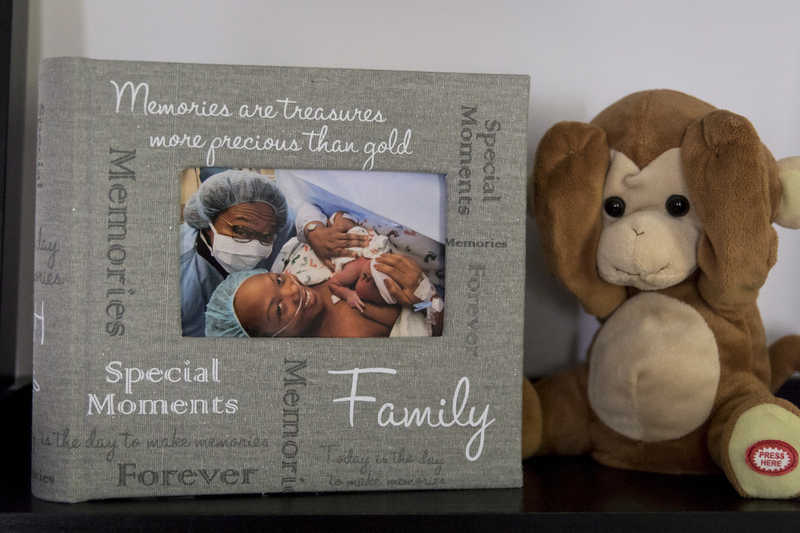 A photograph of Shalon with newborn daughter Soleil and mother Wanda is displayed on a shelf in Shalon's home next to the stuffed monkey that was given to Soleil in the hospital after she was born. Until recently, much of the discussion about maternal mortality has focused on pregnancy and childbirth. But according to the most recent CDC data, more than half of maternal deaths occur in the postpartum period, and one-third happen seven or more days after delivery. For American women in general, postpartum care can be dangerously inadequate — often no more than a single appointment four to six weeks after going home. "If you've had a cesarean delivery, if you've had pre-eclampsia, if you've had gestational diabetes or diabetes, if you go home on an anticoagulant — all those women need to be seen significantly sooner than six weeks," said Haywood Brown, a professor at Duke University medical school. Brown has made reforming postpartum care one of his main initiatives as president of the American Congress of Obstetricians and Gynecologists. The dangers of sporadic postpartum care may be particularly great for black mothers. African-Americans have higher rates of C-section and are more than twice as likely to be readmitted to the hospital in the month following the surgery. They have disproportionate rates of hypertensive disorders and peripartum cardiomyopathy (pregnancy-induced heart failure), two leading killers in the days and weeks after delivery. 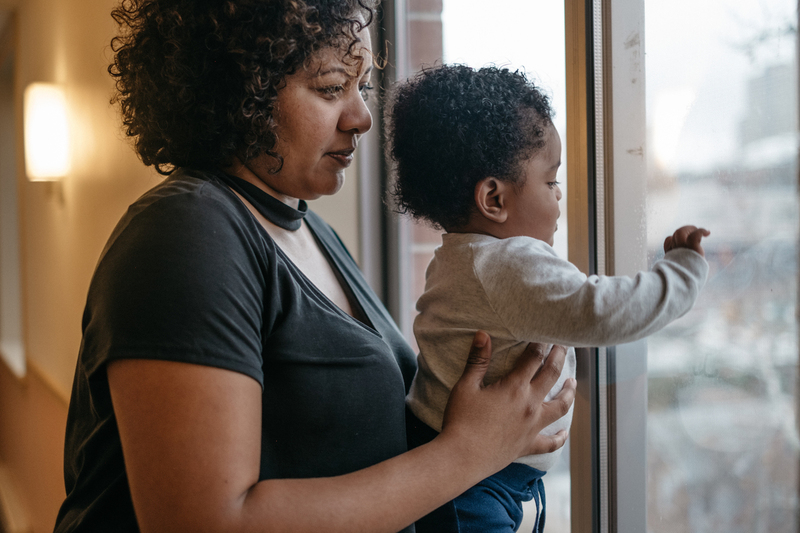 They're twice as likely as white women to have postpartum depression, which contributes to poor outcomes, but they are much less likely to receive mental health treatment. If they experience discrimination or disrespect during pregnancy or childbirth, they are more likely to skip postpartum visits to check on their own health (they do keep pediatrician appointments for their babies). In one study published earlier this year, two-thirds of low-income black women never made it to their doctor visit. Meanwhile, many providers wrongly assume that the risks end when the baby is born — and that women who came through pregnancy and delivery without problems will stay healthy. In the case of black women, providers may not understand their true biological risks or evaluate those risks in a big-picture way. "The maternal experience isn't over right at delivery. All of the due diligence that gets applied during the prenatal period needs to continue into the postpartum period," said Eleni Tsigas, executive director of the Preeclampsia Foundation. All of the due diligence that gets applied during the prenatal period needs to continue into the postpartum period. It's not just doctors and nurses who need to think differently. Like a lot of expectant mothers, Shalon had an elaborate plan for how she wanted to give birth, even including what she wanted her surgical team to talk about (nothing political) and who would announce the baby's gender (her mother, not a doctor or nurse). But like most pregnant women, she didn't have a postpartum care plan. "It was just trusting in the system that things were gonna go OK," Wanda said. "And that if something came up, she'd be able to handle it." The birth was "a beautiful time," Wanda said. Shalon did so well that she persuaded her doctor to let her and Soleil — French for "sun" — leave the hospital after two nights (three or four nights are more typical). Then at home, "things got real," Pryor said. "It was Shalon and her mom trying to figure things out, and the late nights, and trying to get baby on schedule. Shalon was very honest. She told me, 'Friend, this is hard.' "
C-sections have much higher complication rates than vaginal births. In Shalon's case, the trouble — a painful lump on her incision — started a week after she went home. 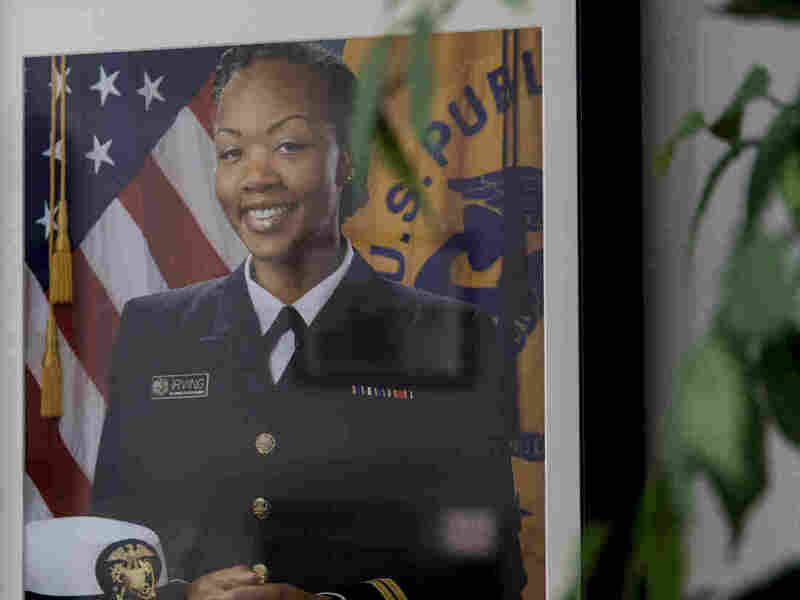 The first doctor she saw, on Jan. 12, said it was nothing, but as she and her mother were leaving his office, they ran into her regular OB/GYN, Elizabeth Collins, whom Shalon trusted completely. Collins took a look and diagnosed a hematoma — blood trapped in layers of healing skin, something that happens in about 1 percent of C-sections. She drained the "fluctuant mass" (as her notes described it), and "copious bloody non-purulent material" poured out from the 1-inch incision. Collins also arranged for a visiting nurse to come by the house every other day to change the dressing. What troubled the nurse most, though, was Shalon's blood pressure. On Jan. 16 it was 158/100, high enough to raise concerns about postpartum pre-eclampsia, which can lead to seizures and stroke. But Shalon didn't have other symptoms, such as headache or blurred vision. She made an appointment to see the OB/GYN for the next day, then ended up being too overwhelmed to go, the visiting nurse noted on Jan. 18. In that same record, the nurse wrote that Shalon had to change the dressing on her wound "sometimes several times a day due to large amounts of red drainage. This is adding to her stress as a new mom." Her pain was 5 on a scale of 10, preventing her from "sleeping/relaxing." Overall, Shalon told the nurse, "it just doesn't feel right." When the nurse measured her blood pressure on the cuff Shalon kept at home, the reading was 158/112. On the nurse's equipment, the reading was 174/118. Under current ACOG guidelines, those readings were high enough to warrant more aggressive action, Tsigas said, such as an immediate trip to the doctor for further evaluation, possibly medication, and more careful monitoring. That is especially true for someone with a history of hypertension and multiple other risks. "We need to look holistically at the risk factors irrespective of whether or not she had a diagnosis of pre-eclampsia," Tsigas said. "If somebody has a whole plateful of risk factors, how are you treating them differently?" 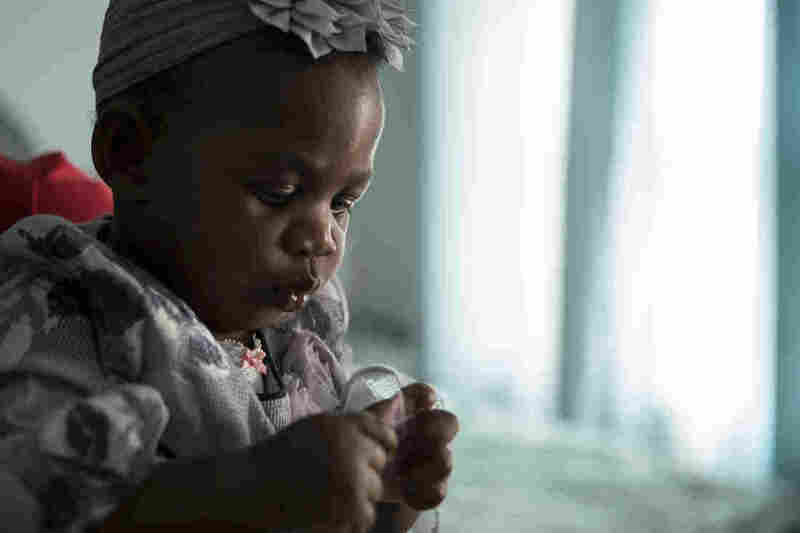 "It would have made sense to admit her to the hospital for a complete work-up," including chest X-ray, an echocardiogram to evaluate for heart failure, and titration of her medication to get her blood pressure to normal range, wrote one doctor, a leading expert on postpartum care, who agreed to look at Shalon's records at ProPublica's request but asked not to be identified. The doctor said that the communication about signs of stroke seemed insufficient and that it would be more "common practice" to assess her that day to find out what was wrong. Instead, Shalon was given an appointment for the next day, Jan. 19, with an OB/GYN at Women's Center at Emory St. Joseph's, which handled her primary care. By then, Shalon's blood pressure had fallen to 130/85 — considered on the high end of normal — and there were "no symptoms concerning for postpartum [pre-eclampsia]," the doctor wrote in his notes. He wrote that Shalon was healing "appropriately" and thought her jumps in blood pressure were likely related to "poor pain control." Wanda and Shalon left feeling more frustrated than ever. At home over the next couple of days, Wanda noticed that one of Shalon's legs was larger than the other. "She said, 'Yeah, I know, Mom, and my knee hurts, I can't bend it.' "
When McDonald-Mosley looked over the voluminous medical records a few months later, what jumped out at her was the sense that Shalon's caregivers (who declined to comment for this story) didn't seem to think of her as a patient who needed a heightened level of attention, despite the complexity of her pregnancy. "She had all these risk factors. If you're gonna pick someone who's going to have a problem, it's gonna be her. ... She needs to be treated with caution." The fact that her symptoms defied easy categorization was all the more reason to be vigilant, McDonald-Mosley said. "There were all these opportunities to identify that something was going wrong. To act on them sooner and they were missed. At multiple levels. At multiple parts of the health care system. They were missed." Shalon's other friends were growing uneasy, too. Pryor had her own pregnancy emergency — her son was born very prematurely, at 24 weeks — so she couldn't be in Atlanta. But she and Shalon talked often by phone. "She knew so much about her body one would think she was an M.D. and not a Ph.D. To hear her be concerned about her legs — that worried me." Pryor encouraged her, " 'Friend, are you getting out of the house? Are you going for your walks?' She told me, 'No, I'm on my chaise lounge, and that's about as much as I can do.' "
Life coach Tran was so upset at Shalon's condition that she took her frustrations out on her friend. "I was cussing her out. 'Go to the f****** doctor.' She's like, 'I called them. I talked to them. I went to see them. Get off my back.' 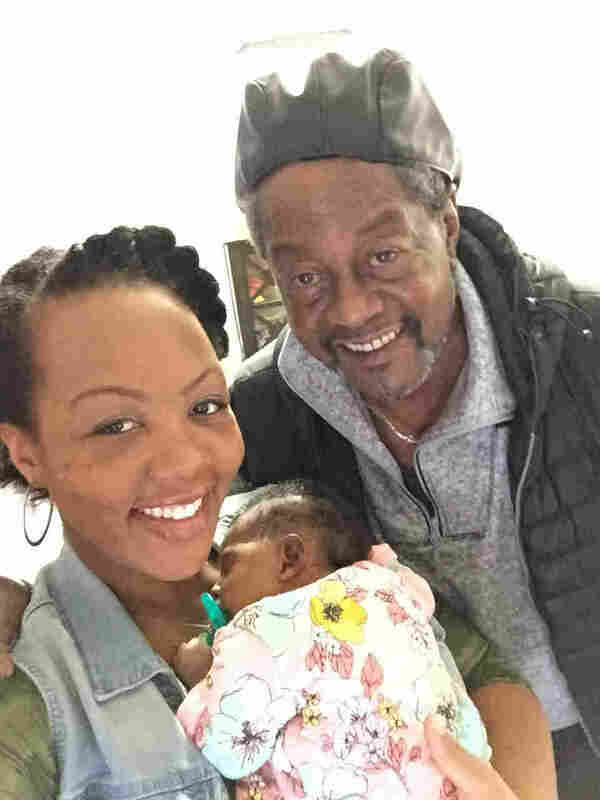 "
On the morning of Tuesday, Jan. 24, Shalon took a selfie with her father, who had been visiting for a few days, then sent him to the airport to catch a flight back to Portland. Toward noon, she and Wanda and the baby drove to the Emory Women's Center one more time. This time, Shalon saw a nurse practitioner. "We said, 'Look, there's something wrong here; she's not feeling well,' " Wanda recalled. " 'One leg is larger than the other; she's still gaining weight — 9 pounds in 10 days — the blood pressure is still up. There's gotta be something wrong.' "
The nurse's notes confirmed Shalon had swelling in both legs, with more swelling in the right one. She noted that Shalon had complained of "some mild headaches" but didn't have other worrisome symptoms, like blurred vision. She checked the incision — "warm dry no [sign/symptom] of infection" — and noted Shalon's mental state ("cooperative, appropriate mood & affect, normal judgment").
" 'You guys have to realize she just had a baby. Don't worry about it, things are calming down,' " Wanda recalled the nurse telling them. " 'We'll send her down for an ultrasound to see if she has a clot in her leg.' " Shalon's blood pressure was back up to 163/99, so the nurse also ordered a pre-eclampsia screening. Both tests came back negative. "So they're saying, 'Well if there's no clots, there's nothing wrong,' " Wanda recalled. As Wanda remembers it, Shalon was insistent: "There is something wrong, I know my body. I don't feel well, my legs are swollen, I'm gaining weight. I'm not voiding. I'm drinking a lot of water, but I'm retaining the water." As Wanda recalls it, the nurse told them, "There is nothing we can do; you just have to wait, give it more time." 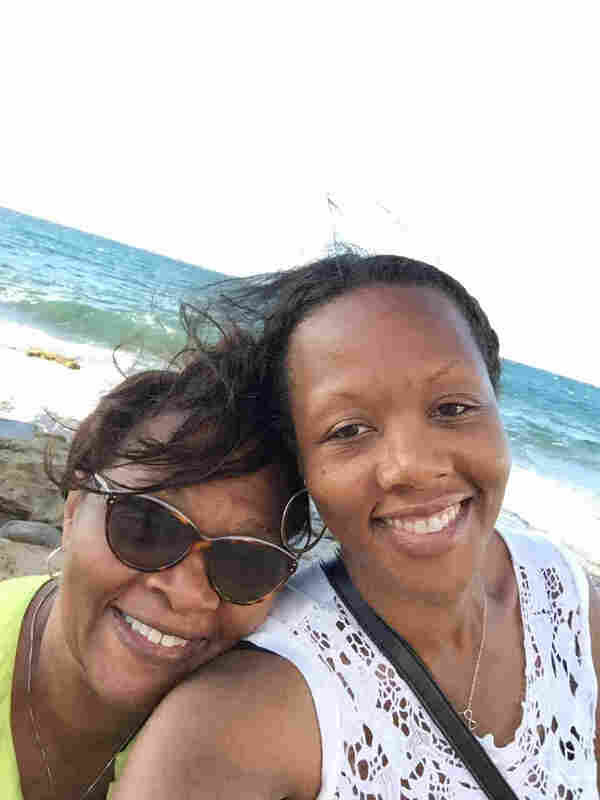 Before sending Shalon home, the nurse gave her a prescription for the blood pressure medication nifedipine, which is often used to treat pregnancy-related hypertension. A large, framed photograph of newborn Soleil and mother Shalon hangs in Soleil's nursery. Shalon painted the nursery light blue shortly before Soleil was born. Shalon and Wanda stopped at the pharmacy, then decided to go out to dinner with the baby. While they ate, they talked about a trip Shalon had planned for the three of them to take in just a few weeks. Ever since Sam III had died, Wanda and Shalon had made a point of traveling someplace special on painful anniversaries. To mark his 40th birthday and the eighth anniversary of his death, Shalon had gotten the idea of going to Dubai. ("It's cheap," Shalon had told Wanda. "The money is worth so much more there. It's supposed to be beautiful.") She had long ago purchased their tickets and ordered the baby's passport. Now Wanda was worried — would she be feeling well enough to make such a big trip with an infant? Shalon wasn't willing to give up hope just yet. Wanda recalls her saying, "I'll be fine, I'll be fine." They got home and sat in Shalon's bedroom for a while, laughing and playing with the baby. Around 8:30 p.m., Shalon suddenly declared, "I just don't know, Mom, I just don't feel well." She took the blood pressure medication from Wanda and got ready for bed. An hour later, Wanda heard a terrifying gasping noise. Shalon had collapsed. The news spread quickly among her colleagues at the CDC. William Callaghan, chief of the maternal and infant health branch, recalled in March that his boss, who had visited Shalon at the hospital, called to let him know. "It was a chilling phone call," said Callaghan, one of the nation's leading researchers on maternal mortality. "It certainly takes, in that moment, what I do, it made it very, very, very concrete. ... This was not about data, this was not about whether it was going up or it was going down. It was about this tragic event that happened to this woman, her family." Northside decided against an autopsy, telling Wanda and Samuel that there was nothing unusual about Shalon's death, they recalled. (The hospital declined to comment.) So Wanda paid $4,500 for an autopsy by the medical examiners in neighboring DeKalb County. The report came back three months later. Noting that Shalon's heart showed signs of damage consistent with hypertension, it attributed her death to complications of high blood pressure. Soleil plays with her nanny. Wanda moved into Shalon's tidy town house to care for Soleil. Even though Shalon's villagers fulfilled their pledges at the memorial service, coming by often to give Wanda a break, the first months were borderline unbearable — the baby was colicky, prone to gastric problems that kept both of them up all night. Wanda's grief was endless, bottomless, but she couldn't let it interfere with her duties to Soleil. "She's the only reason I get up every morning, pretty much," Wanda said. Eventually the colic went away and Soleil thrived. 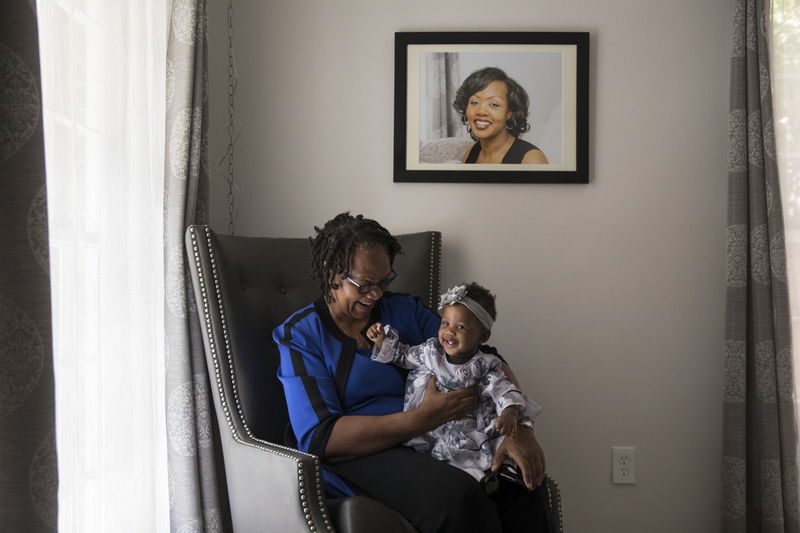 In June, Wanda and her 5-month-old granddaughter drove to Chattanooga, Tenn., for the annual meeting of U.S. Public Health Service scientists. A new honor — the Shalon Irving Memorial (Junior) Scientist Officer of the Year Award — had been created to celebrate Shalon's legacy, and Wanda had been asked to say a few words. She handed the baby to one of Shalon's CDC colleagues and took the small stage. "Striving for excellence is a choice," she told the audience through barely suppressed tears. "It is a commitment. ... It's a struggle to become the person you want to be. It's harder than you want. It takes longer than you want. And it takes more out of you than you expected it should." Shalon personified excellence, Wanda said. "I don't know if Shalon became the woman that she ultimately wanted to be. But I do know that she wanted to be the woman she was." Wanda holds Soleil's hands as she learns to walk. One Saturday afternoon in October, Wanda received a book that friends of Shalon's from the Epidemic Intelligence Service had compiled, titled Letters to Soleil. She put Soleil on her lap and said, "I'm gonna read you some letters about your mom." One thing Wanda has tried never to do is cry in front of Soleil. But as she began reading the letters, she was sobbing. "And Soleil just kept looking at me — she couldn't understand what was going on. And about a minute later she took my glasses off with her hands and put them down and then laid her head right on my chest and started patting me. Which made me cry all the more." As Soleil got older, Wanda looked forward to doing the kinds of things with her that Shalon had looked forward to: reading to her, traveling with her, taking her to gymnastics and music classes. "She wanted Soleil to go to Montessori school, so I'm looking for a Montessori school for her," Wanda said. 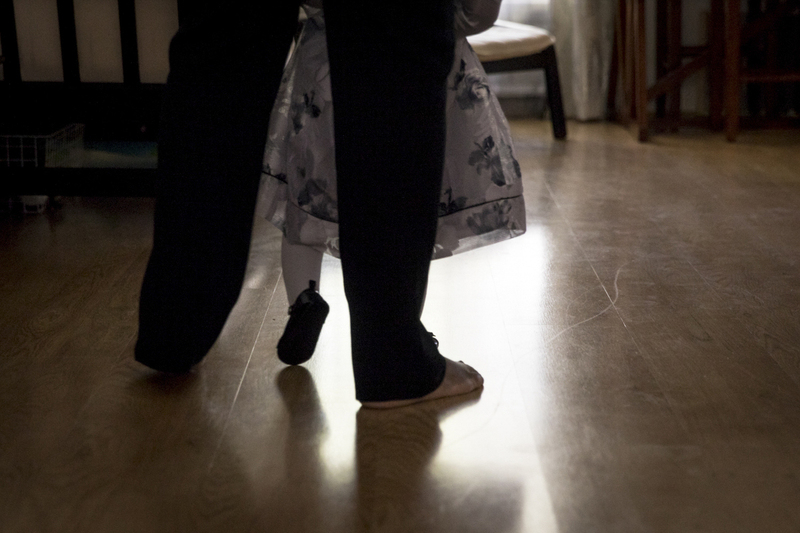 "She wanted her to be christened; we got her christened." Now 10 months old, Soleil has her mother's eyes, energy and headstrong yet sweet disposition, coming into Wanda's bed every night and waking her early to play. "She'll bite my nose and kick me — 'Nana, time to get up! Time to get up!' That's what keeps me motivated." A week or so after the memorial service, Wanda came across a letter that Shalon had written to her two years earlier, around the sixth anniversary of Sam III's death. Shalon had left it among the other important items on her computer, trusting that if something ever happened to her, Wanda would find it. The letter reads like a premonition: Shalon was contemplating the prospect of her own premature death — and of her beloved mother having to endure one more unbearable tragedy. An earlier Web version of this story incorrectly stated that black women are 300 percent more likely to die of pregnancy- or childbirth-related causes than white women. It should have said that black women are 243 percent more likely to die than white women.